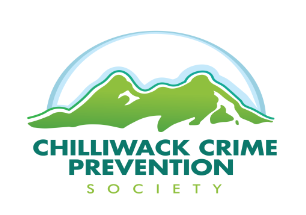 Chilliwack – The Chilliwack Crime Prevention Society is holding their first ever Crime Prevention Fair. The event is at Evergreen Hall and features presentations from RCMP Victim Services, Chilliwack Block Watch, ICBC, Crime Stoppers and other organizations. This will be Saturday November 3 from 10 AM to 3PM. More information can be found here through the Block Watch Facebook page. 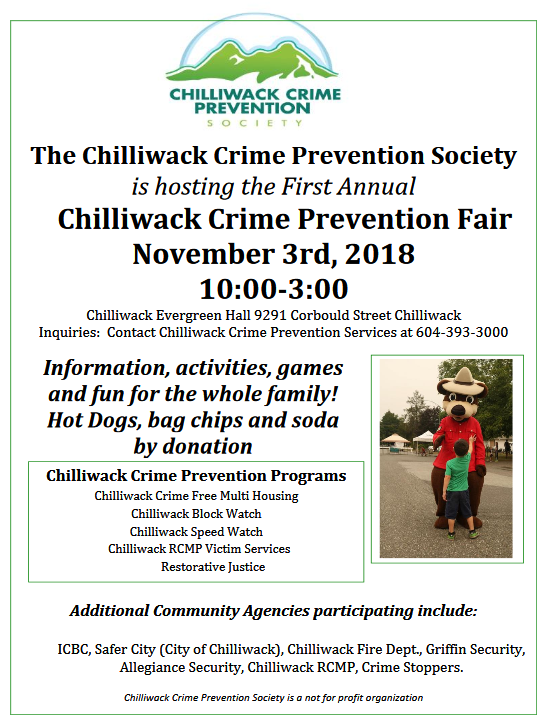 Be the first to comment on "Chilliwack Crime Prevention Fair November 3"